Hail, wind, and even road salt can dent, rust, and chip away your car’s exterior, resulting in mild to moderate auto body damage. Sometimes auto body damage is caused by something as simple as a runaway shopping cart or even a rogue golf ball. While these accidents typically occur at low speeds, they can still result in both windshield and auto body damage. Motorists should find a center that specializes in both automotive and auto glass repair, like ABRA. 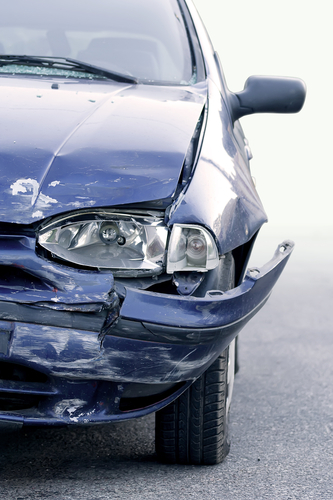 This type of auto body damage is the most severe and typically requires extensive repair. Luckily, ABRA Auto has both the experience and the expertise to put your vehicle back in its original condition. Call Your Local ABRA Auto for Expert Collision Repair! If you encounter any of the above situations, contact your local ABRA Auto. With their expertise, these automotive specialists will restore your vehicle to its original glory. For a complete list of services, visit their website today.